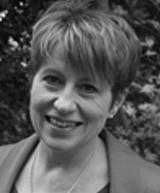 Dr Ruth Deakin Crick is Reader in Systems Learning and Leadership at the Graduate School of Education, University of Bristol and Conjoint Professor of Education at the University of Newcastle, Australia. The focus of her research interest is on pedagogies which promote deep learning and change for individuals, organisations and communities. She is one of the originators of a visual analytic assessment tool to develop an individual and group’s learning power, which has been applied around the world in education, corporate and community contexts. She directs the Centre for Systems Learning and Leadership at the Graduate School of Education and is one of the founders of the Learning Emergence Network. She is Chief Scientific Officer for ViTaL Partnerships, a charitable knowledge exchange partner responsible for leading in the dissemination of her research into learning power. Her current research is in designing and modelling contexts for learning.